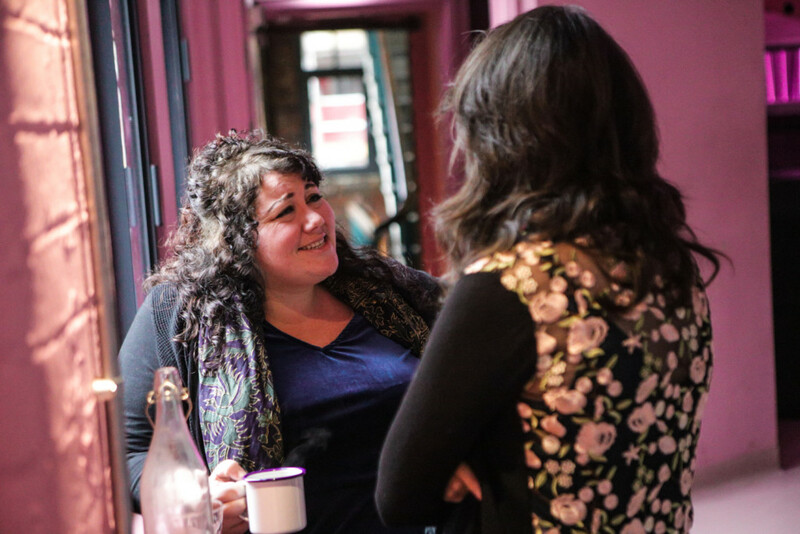 Our Director Debra King reflects on a packed 2018 – and looks ahead to what’s to come for Brighter Sound across the next 12 months. In the past year it’s been a real privilege for me to witness how we’ve supported, developed and championed over 1,200 young and emerging creative artists through our responsive and relevant programme of work. It’s clear that we’ve expanded the horizons of musicians and music makers at all stages of their journey – from early years to early careers. Still, it is more apparent than ever that obstacles along current music pathways – often relating to geography, ethnicity, gender and socio economics – are excluding some of our most promising, diverse, creative artists and industry professionals. In addition, the 21st century artist doesn’t have a career path clearly marked in front of them. The lack of value that the education system places on music, and the weak connection between education and the industry, creates a distinct scarcity of clear progression routes – leaving artists to develop their own, often without a diversity of role models that they can identify with. This continues to be our motivation at Brighter Sound. In 2018 we expanded our reach across the North of England through Both Sides Now, working in Liverpool, Newcastle, Leeds and Manchester. 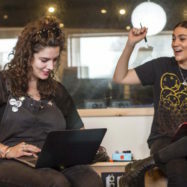 We developed inspirational residencies for young and emerging female musicians with artists like Nadine Shah, Shiva Feshareki and Anna Meredith. 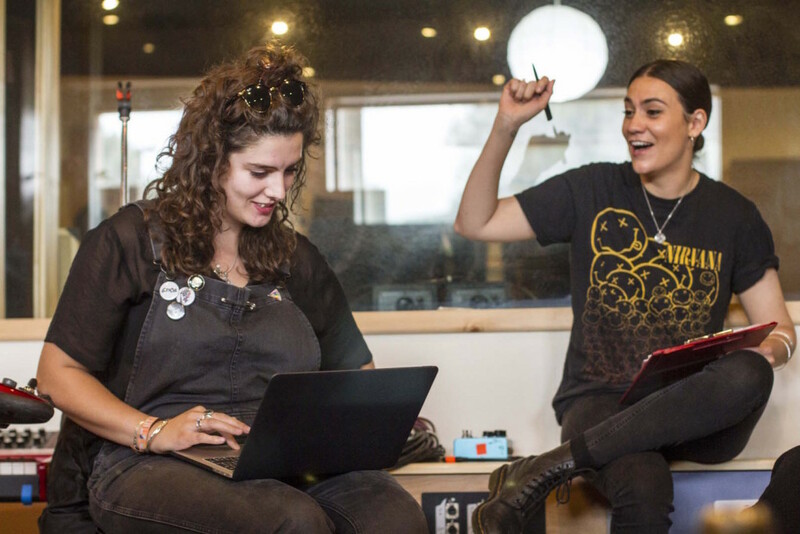 We created a crowd sourced manifesto for gender equality in the music industry. And we partnered with Charanga to develop a national education resource profiling female role models, which we’ll be launching later this year. As we look at how artists develop and what their needs are, even from a young age, we can see that painting a broader picture of the music landscape and redefining and widening one dimensional concepts of success is crucial. Last year we launched the Open Artist Series – our programme of support for emerging artists – which focuses on DIY approaches to building a sustainable career in music. In addition, through our ongoing role as a strategic partner with Youth Music, we continued to work with young musicians, schools and Music Education Hubs to develop and promote musical inclusion and progression routes across the north west and nationally. A personal highlight for me in 2018 was The Hexagon Experiment, commissioned by the Great Exhibition of the North and produced in partnership with the National Graphene Institute at The University of Manchester. 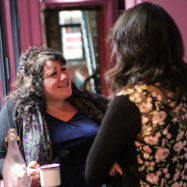 Across six weekly events, the programme brought together young and emerging musicians, artists and scientists (who all happened to be female) to celebrate creative discovery and discuss gender equality in their respective fields. It was enlightening to hear the varied views and perspectives of our panellists, and inspiring to experience the extraordinary range of musical output. Another highlight (if I’m allowed two!) 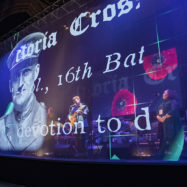 was in April, when we were honoured to work with partners in Manchester to produce a unique cultural event to commemorate the forgotten story of the fall of Manchester Hill in 1918. 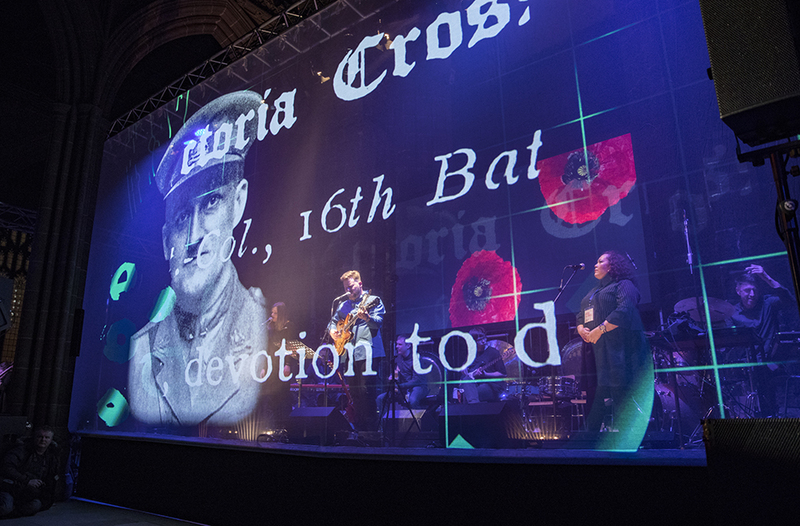 We saw some of our city’s best and most exciting young and emerging musicians, artists and new talent take the stage of Manchester Cathedral to a packed audience to rediscover and remember this piece of forgotten Manchester history, in which 79 local lives were lost. I would like to say a huge thank you to the musicians, practitioners and music sector professionals that we worked with in 2018. They continue to be brilliant role models, inspiring mentors, and dedicated creative practitioners. They also embody one of our core beliefs – that creative risk taking, experimentation and ‘just trying things out’ leads to new discoveries (both artistically and personally), increased confidence, independence and self-belief. I believe these are all essential ingredients to effectively engage with the music sector, the wider workplace, and the world. Here’s to 2019 – paving the way for the music makers of the future, celebrating creativity and diversity, and continuing to build the momentum for change.